School reports – sometimes parents dread receiving them more than children do. Teacher and founder of Kids First Children’s Services, Sonja Walker, suggests ways to deal with your child’s disappointing school report in a positive and proactive way. I’d be willing to guess that your child doesn’t want to bring a bad report home. It’s humiliating, intimidating, and if it’s not the first time, is probably affecting their self-esteem and attitude toward school. Most kids don’t set out to deliberately disappoint their parents – yet at this time of year, thousands of families are dealing with their children’s below par reports and looking for answers. Before you look for someone or something to blame, it’s worth thinking about why your child has achieved poor results and then deciding on a plan of action. When kids receive poor school reports, teachers are often the first victims of parental disapproval. Ever heard your child say ‘He just hates me, Mum’? or ‘She’s hopeless, Dad, and her classes are BORING’? 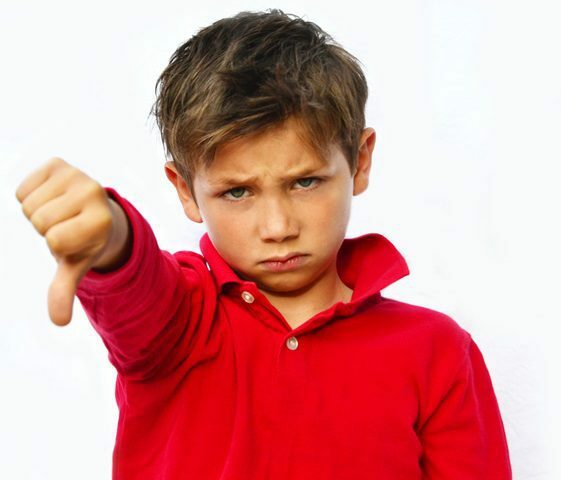 Children who are not succeeding in a classroom will often find reasons to criticise a teacher who they believe to be incompetent, inexperienced, uninterested or incapable of communicating clearly. This happens most frequently in high schools and in the later years of primary school, where students are taught by more than one teacher. Like kids, teachers have mixed abilities and mixed personalities. It’s easy for kids to compare individual teachers’ personal styles and to lay the blame for a poor report on the teacher with whom they feel least connection. The reality is, teachers are not perfect and, at times, kids’ descriptions of them are unfortunately accurate. However, more often than not, teachers do their best to support struggling students and blaming them without trying to work toward real solutions is rarely helpful. Rather than making a teacher responsible for your child’s challenges, it is more productive to look closely at your son or daughter’s behaviours, skills and performance in the subject in which they are struggling. My advice has always been, ask specific questions so that can get specific answers. Request a meeting with your child’s teacher and ask them teacher to show you the tasks that your child has been set. The teacher should be able to provide you with examples of your child’s efforts and explain where your child is struggling. Teachers want kids to achieve to the best of their ability and most will be happy to provide you with a professional explanation of where your child is going wrong and suggestions to help your child improve. With details from the teacher under your belt, it’s now time to support your child in an effort to achieve improved results. When you talk to your child about that underwhelming report – choose the right time and place for the conversation. Select a moment when they can enjoy your full attention and benefit from a calm and unemotional atmosphere. Be ready for the possibility that your child might not know why he or she has done so poorly. Many kids can’t see the bigger picture – and let’s face it – if they knew what they had to do, most of them would probably be doing it! At this point, it’s important that your child understand and take responsibility for their challenges – but be gentle. Ask your child what they think they need. Talk about the advice that has been provided by their teacher and then come up with two or three practical things that they can do to improve. It might be something as simple as doing their homework in the morning to avoid after school fatigue or getting a Maths or English tutor. Whatever you choose, choose it together, so that your child knows that you are on their side. If you’re a busy parent and are blaming yourself for your child’s difficulties…stop! If you know that you are providing your child with the attention, support and guidance he or she needs, then the responsibility for their failure is not yours! Having said that, if part of your child’s struggle is caused by a chaotic and unstructured homework time and an intermittent approach to basic skills like home reading and times tables– it may be appropriate for you to re-evaluate your home routines with a view to giving your child more stability, supervision, support and encouragement. You might decide that you need to seek help for your child from the Learning Support teacher at school. You might seek advice from the school counselor or principal about your child’s learning or behavioural difficulties. You might engage a tutor, speech pathologist or occupational therapist to support your child with Maths, Literacy or concentration. Try not to feel guilty about the things you think you’re not doing and take positive steps to do what you can to help your child. When talking with your child about a poor report, it’s important that they understand that your love for them is not conditional on good grades at school. While your child’s struggles might be frustrating and incomprehensible for you the reality is that, for some kids, school will never set their world on fire. And that’s OK – there’s a place for everyone in this world and every child has a unique set of skills that will one day determine their future. What’s most important is that they do their best – every day. But that doesn’t mean that the your child’s next school report has to be a repeat of this one. You and your child now have an opportunity to set up a plan of action to do better next time. Think about a reward or incentive that might encourage them to aim for improved results. Show your child that you believe in them and their ability to do better. And make sure that they know that all you ask of them is their very best…in effort, attempt and attitude…every time. If they can do that – they’re doing something that you as a parent can, and should, be proud of. We get it. As a parent, it’s been long time since you were at school and methods and terminology have changed. Perhaps the subject your child struggles in are familiar, because in your school days, they weren’t your strength either. Kids First’s team of fully qualified teachers have years of experience and can help your child to not only feel more confident at school, but also achieve better results. Our centre in Sydney’s northern beaches provides after school tuition for children aged 6-18 in a friendly, no pressure environment where the focus is on face to face teaching, not computers or rote learning. Call us on (02) 9938 5419 to find out how we can support your child, or click on the image below to find out more about the individual and small group tuition we offer.